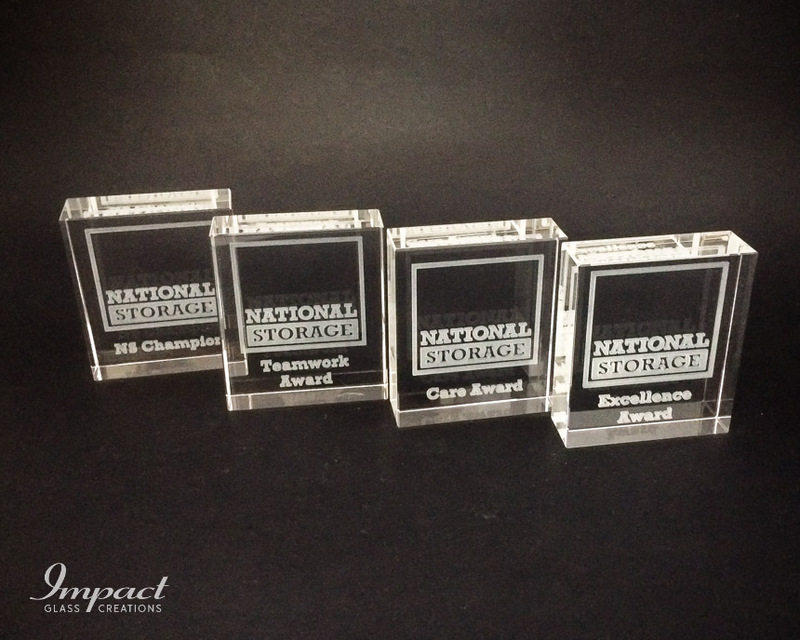 Paperweights are making a comeback! Why? 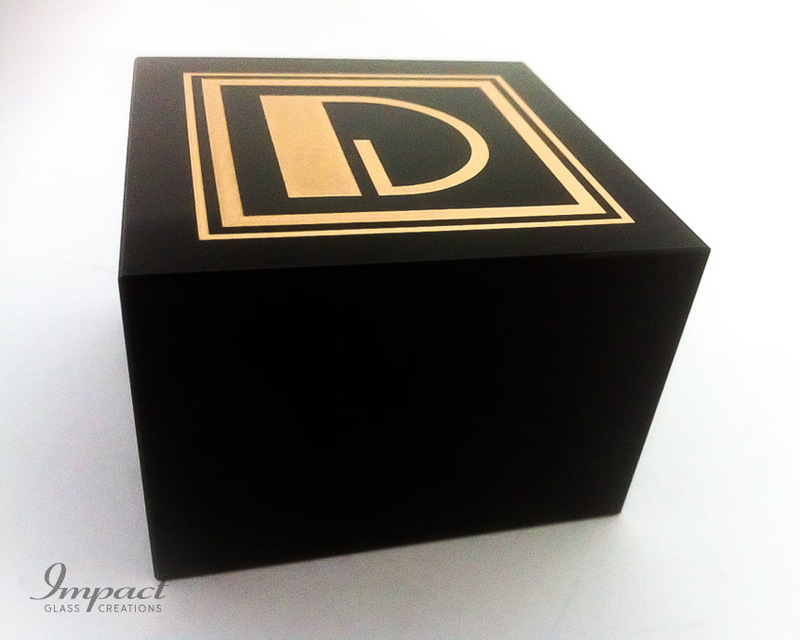 because they are one of the most effective items you can use to promote your business and brand. 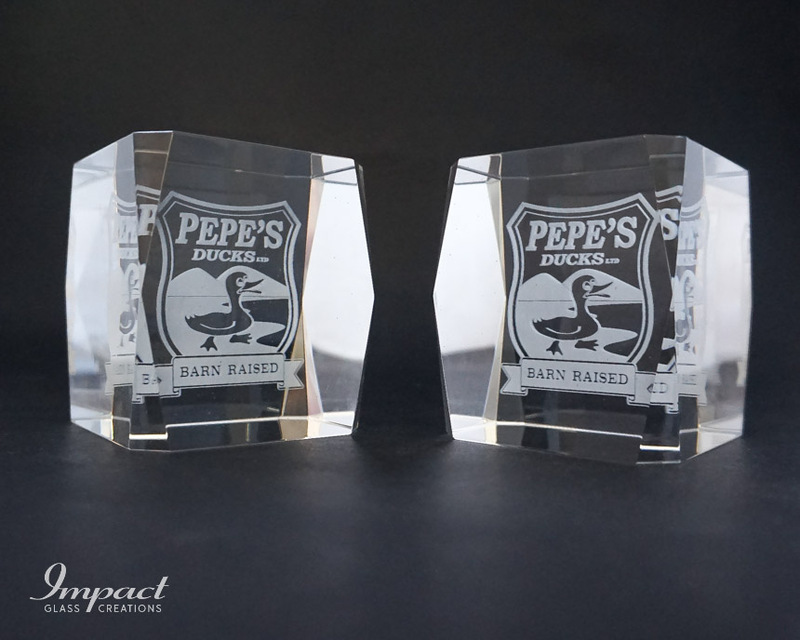 They are also perfect to give as a gift or memento to commemorate a special event, wedding, conference, graduation or any special occasion. 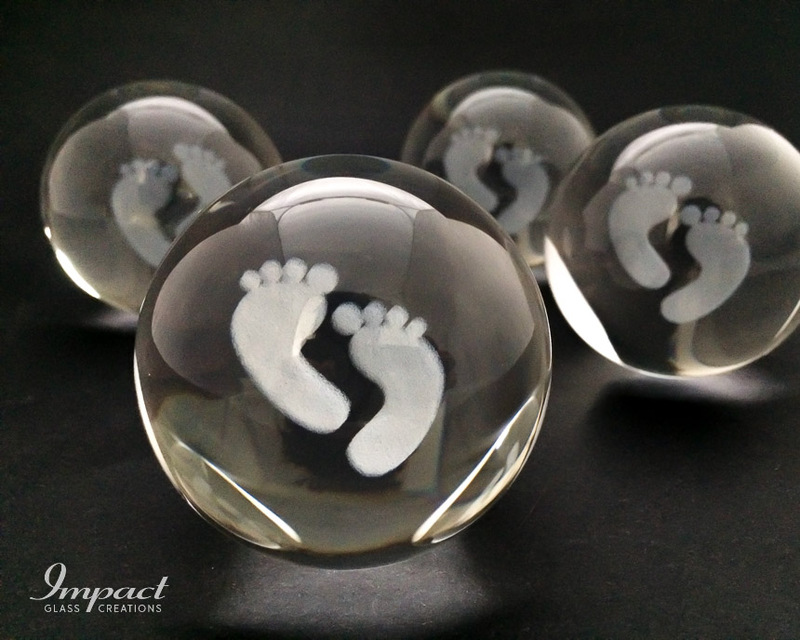 We create personalised paperweights in many different shapes and sizes out of crystal, glass, resin, metal and stone. So how do you know which is right for you? 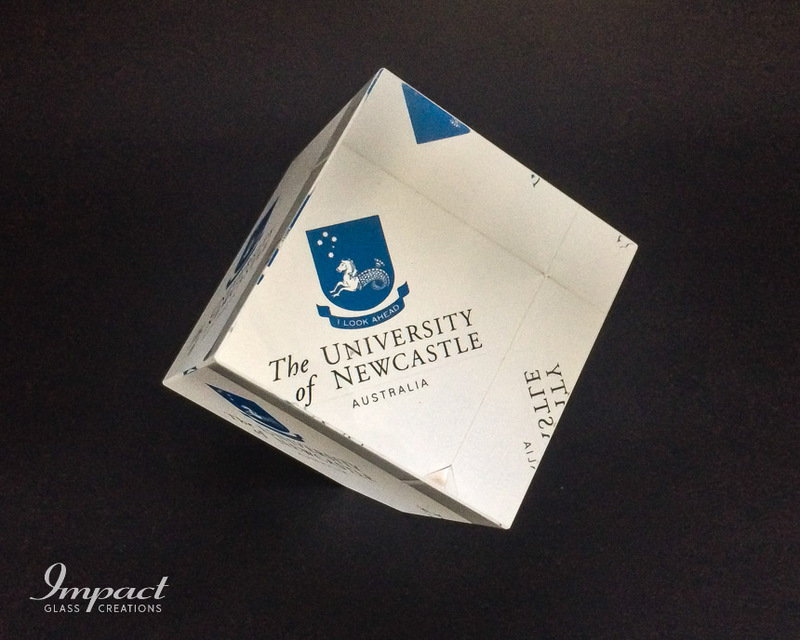 No need to worry, our team is here to help deliver the best solution for your branding, promotion or upcoming special event. 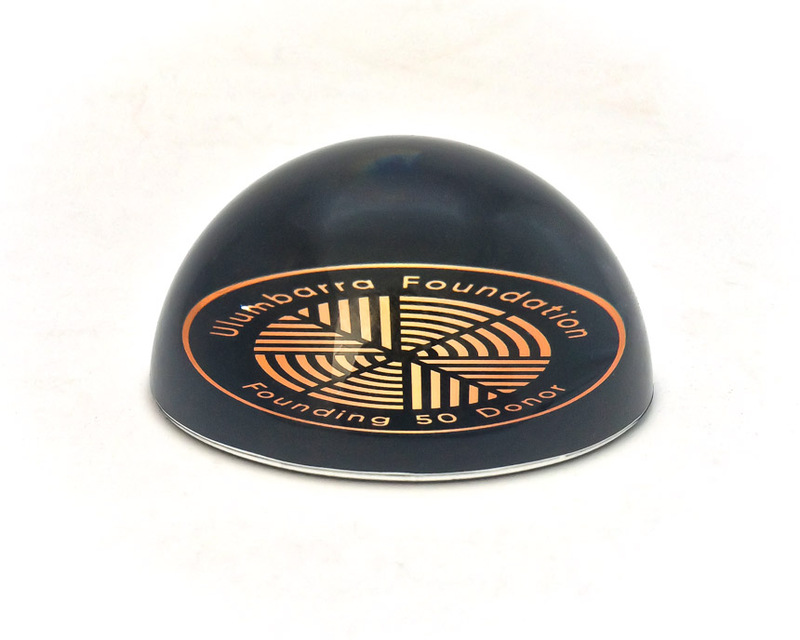 Paperweights are extremely useful office items; and, whilst for many years they appeared to be slowly going out of fashion, today interest in these small desktop products is soaring. 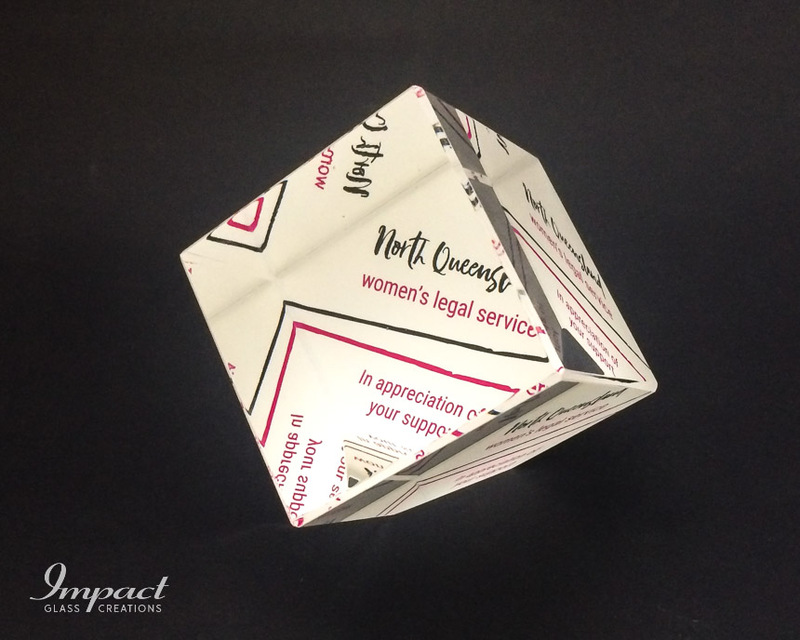 More and more people are rediscovering just how much easier paperweights can make office life on a day to day basis, helping with organisation and minimising the risk of losing important documents. 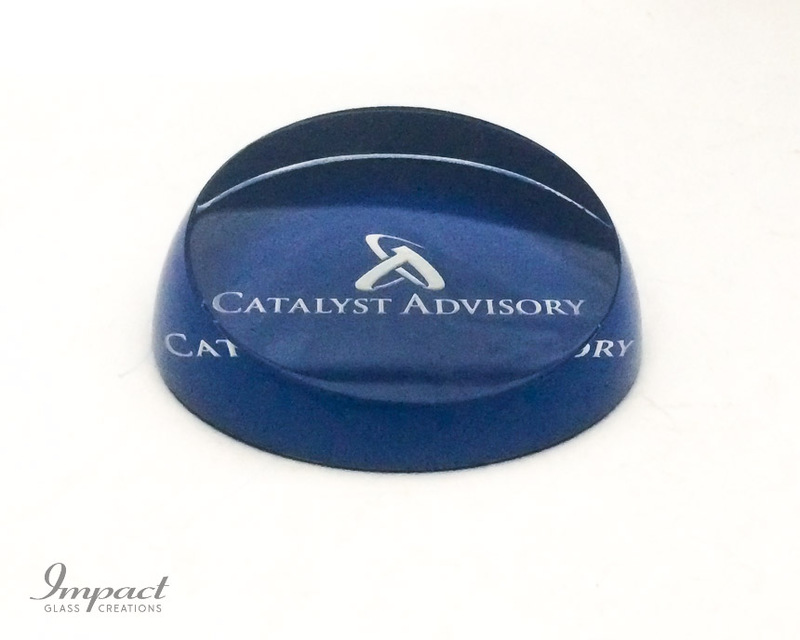 They make it easier to read from sheets of paper without having to hold them down with your hands, and generally helping keep desks tidy. 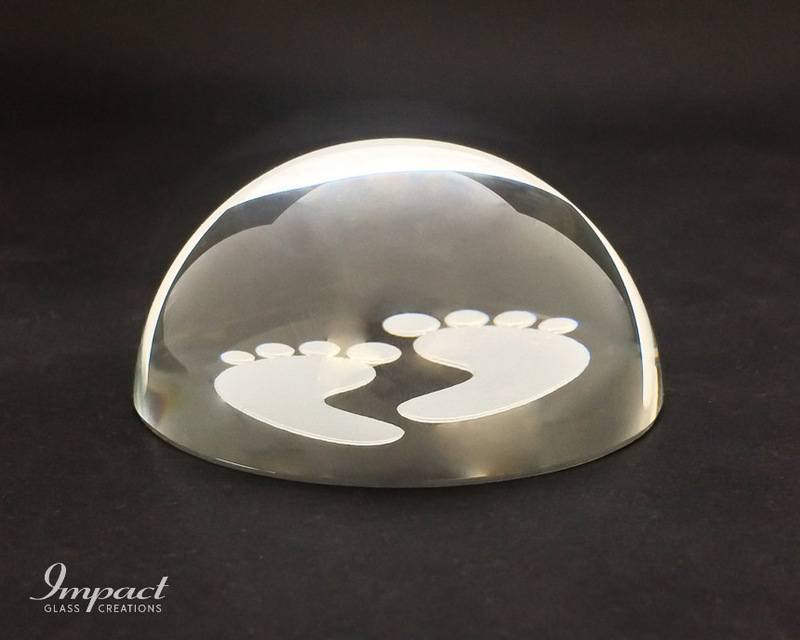 But the increasing popularity of paperweights should also be of great interest to absolutely any business: personalised glass paperweights are an excellent investment for a number of crucial reasons. Firstly, they look extremely professional to those visiting your premises. 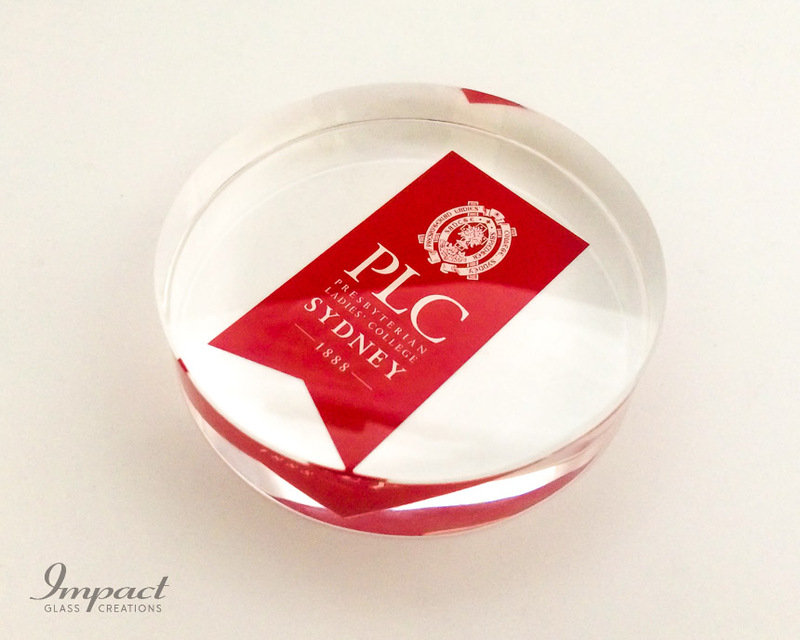 Investing in personalised company stationary and equipment is always a great way to enhance your professional image and reputation, and paperweights are certainly no exception to this rule. 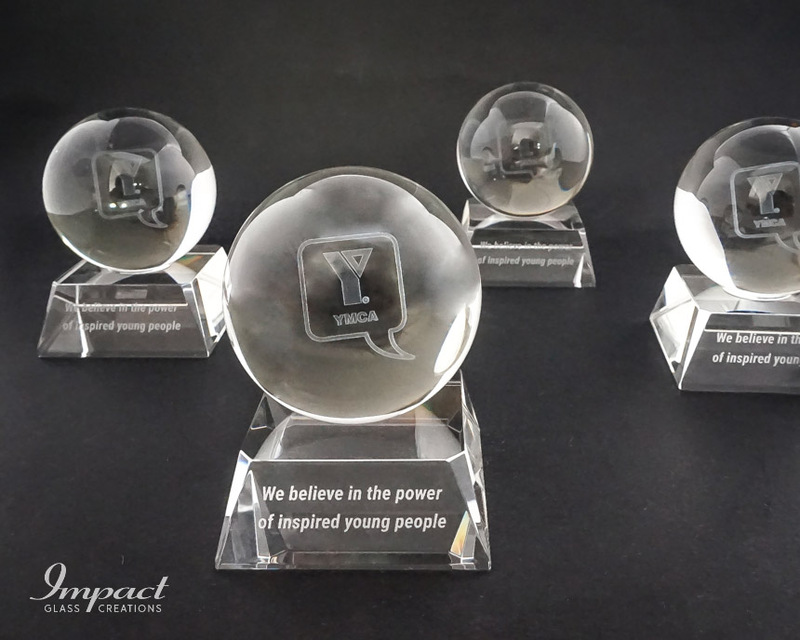 Furthermore, personalised paperweights make for excellent gifts for loyal staff and customers, potential investors and generally anybody else you’re looking to keep happy. 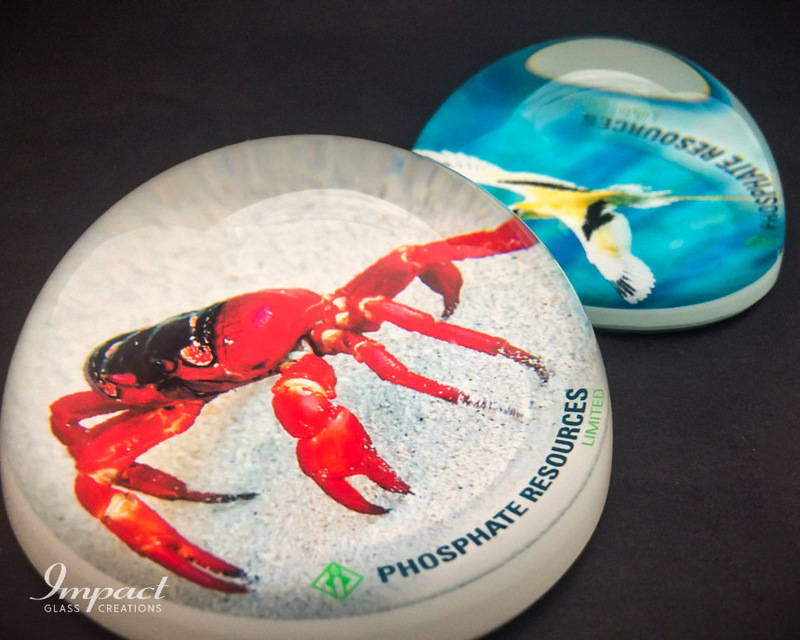 And not only does gifting these people with top-quality paperweights help with building and maintaining strong working relationships, but it also serves as a powerful marketing and advertising tool. 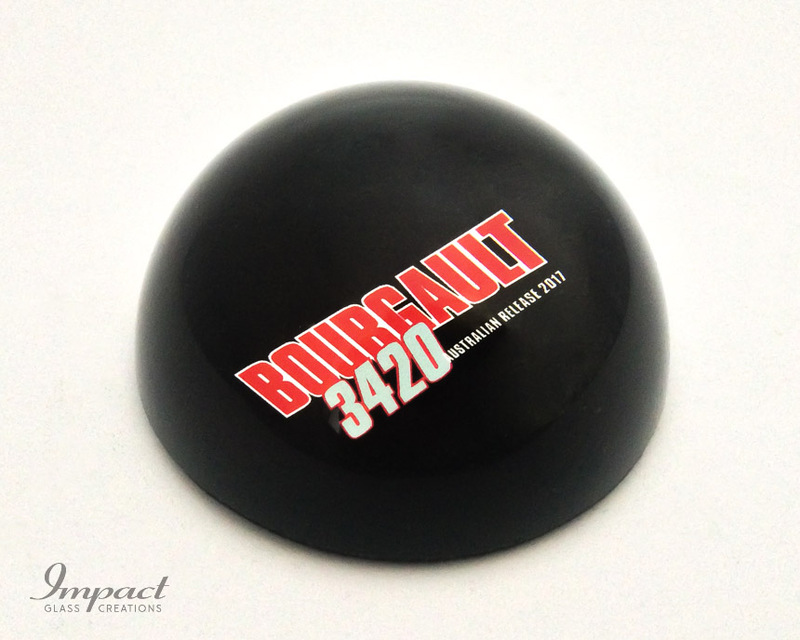 Every time anyone notices the branded paperweights on the desk of any of these people, they’ll be exposed to your name and brand. Before long, awareness of your brand in your local community will start to grow at a faster rate, and you’ll start to notice that more and more people are visiting your website and/or getting in touch to find out more about your products or services. 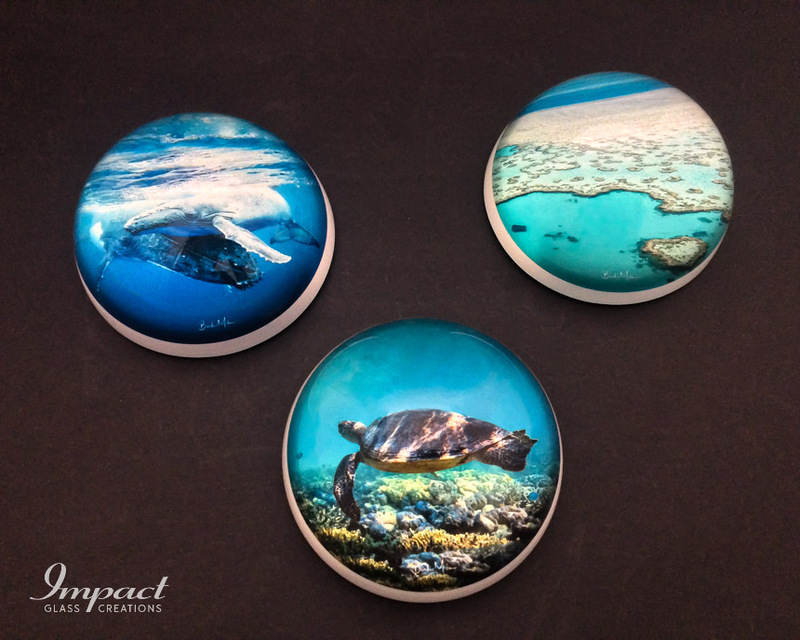 Here at Impact Glass Creations, we’ve worked with some of Australia’s largest companies as well as plenty of small, family-run businesses. 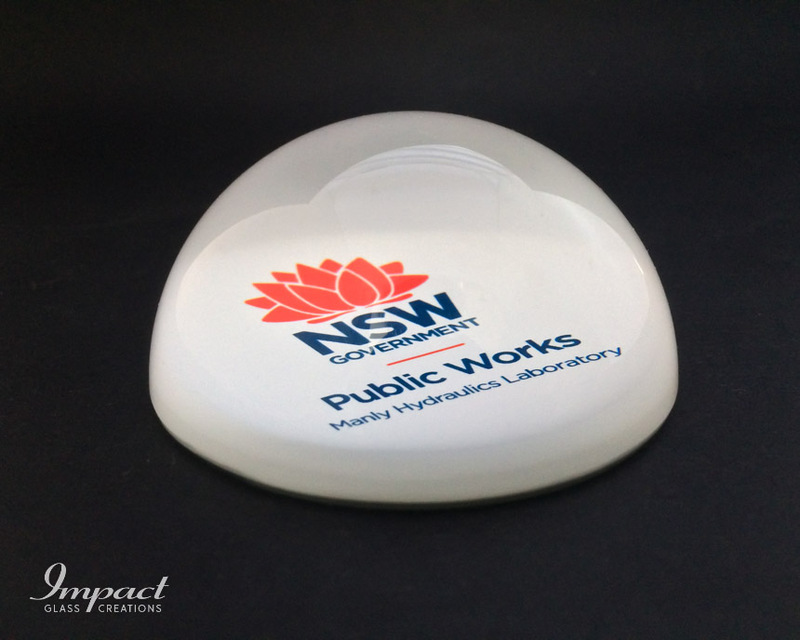 We’ve even provided personalised products for some of the nation’s state governments. 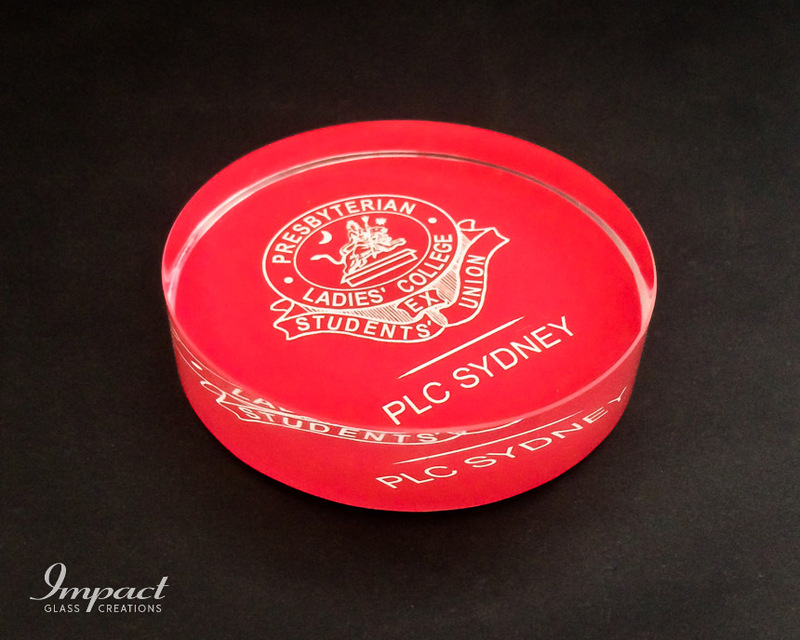 Over the years, we’ve developed a reputation for providing some of the very best glass paperweights Australia has to offer. 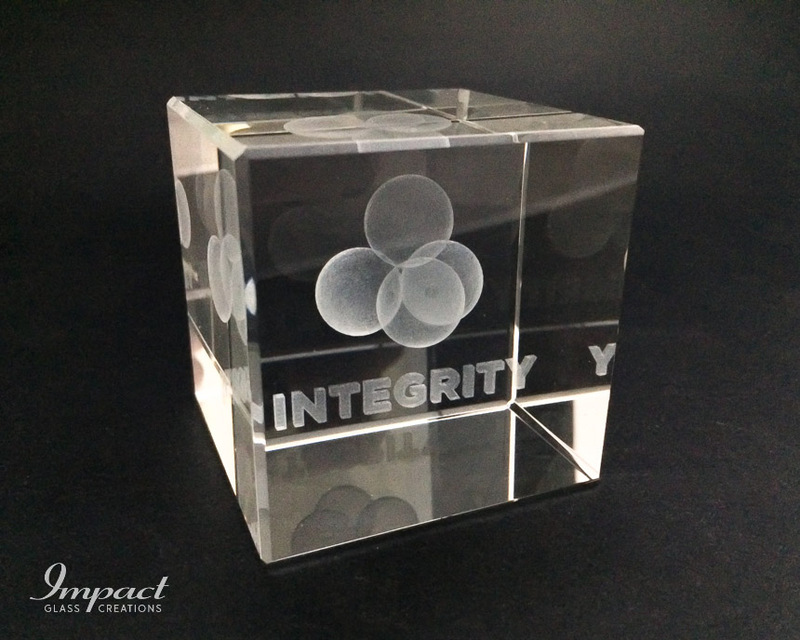 At the core of our approach lies the principle that each and every customer should be treated according to their own requirements and preferences, so we’re committed to working closely with our customers to understand exactly what it is that they’re looking for. 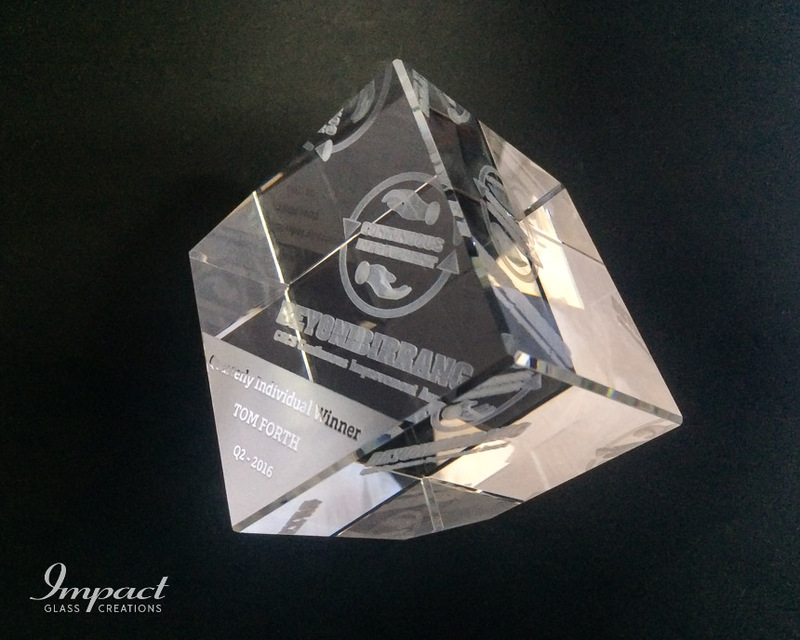 This allows us to create unique, bespoke solutions that they’ll love. 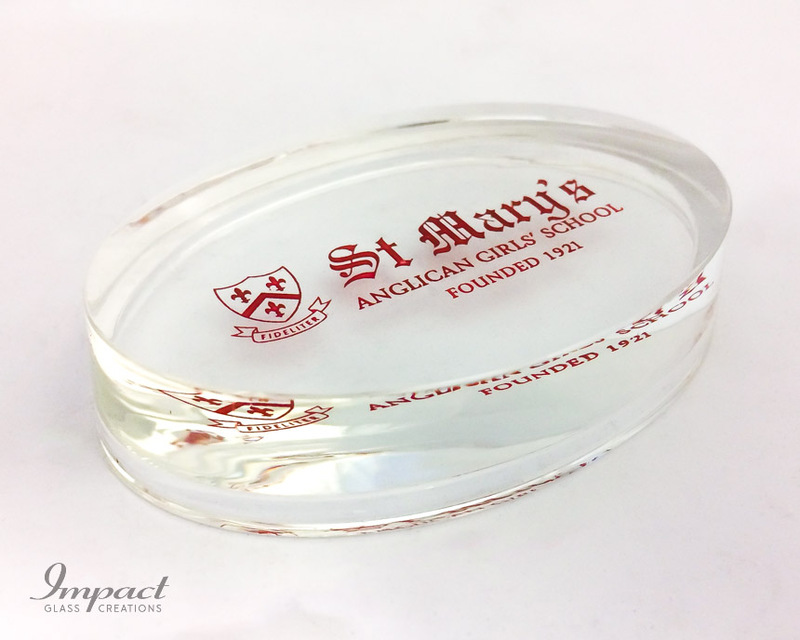 All of our products are created using only the very finest materials available and with state of the art equipment, meaning that we can guarantee superior quality absolutely every time. 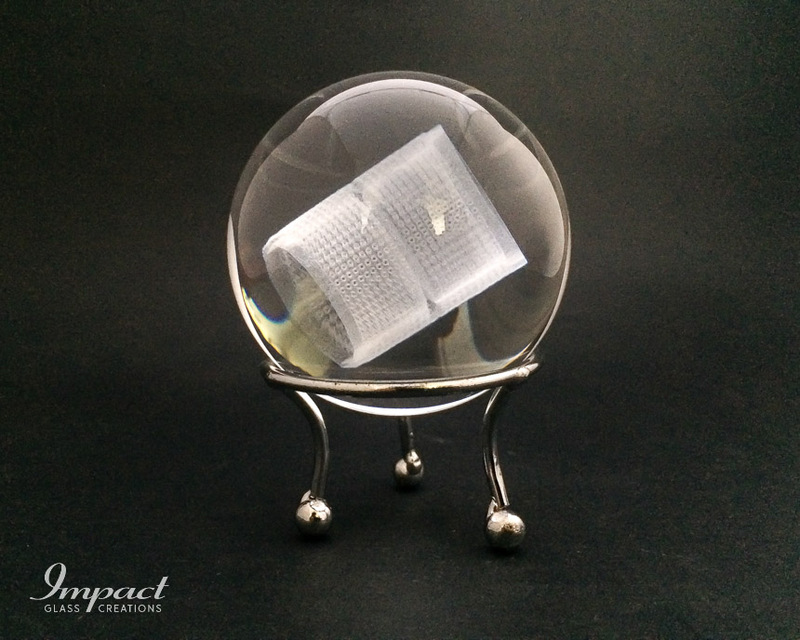 Furthermore, we strongly believe that quality shouldn’t necessarily mandate high prices, which is why we’re proud that the glass paperweights for sale at Impact Glass Creations are always fairly and affordably priced. 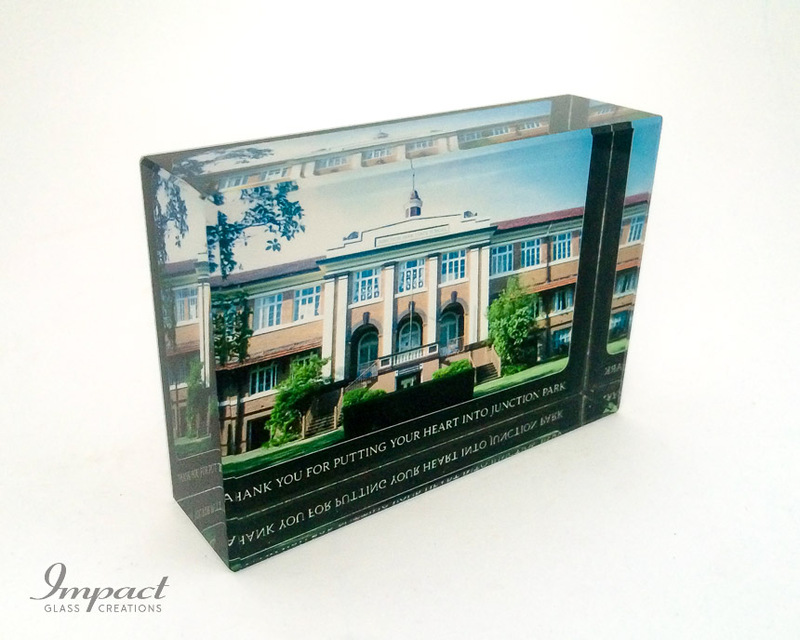 So, if you’ve been looking for reputable, reliable personalised glass paperweight suppliers, you’ve finally come to the right place. Simply get in touch with a member of our friendly team today to find out more information about how we can provide exactly the kinds of products that you’ve been looking for.